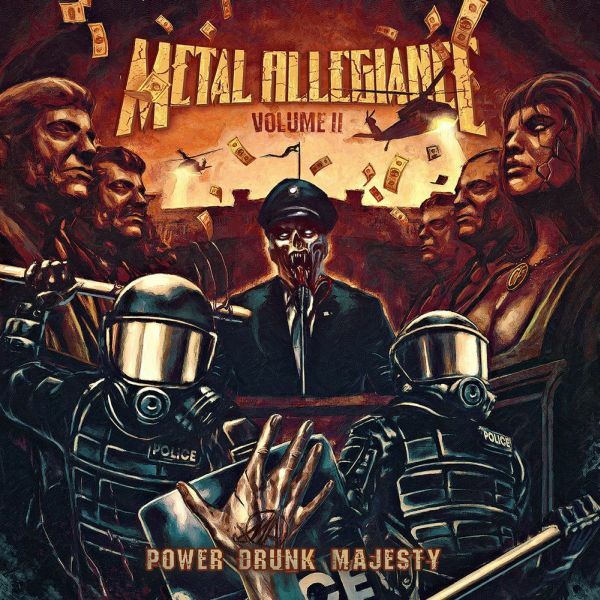 METAL ALLEGIANCE - VOLUME II: POWER DRUNK MAJESTY | Releases | Wizard LTD.
"VOLUME II: POWER DRUNK MAJESTY"
“We wrote these songs, in my basement, playing them in rehearsals before we ever hit record,” adds drummer and cofounder Mike Portnoy. “It’s important to stress that this isn’t one of those email projects where everybody just sends files back and forth. Like a garage band, each of these songs began with playing together, banging it out, old school.” He likens the energy to METALLICA’s »Kill ‘Em All« and EXODUS’ »Bonded By Blood«.